Truth be told, is isn't as complicated as brain surgery. 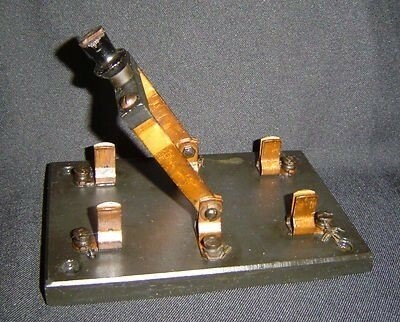 Nor does it take a degree in electrical engineering to understand. The only prerequisite to properly sizing your genset is to grasp some fundamental principles concerning marine auxiliary power — coupled with a bit of sensible load analysis. Notwithstanding relatively recent improvements in fuel delivery systems on power plants, the single most effective step in maximizing generator life and minimizing fuel waste and pollution is to assure that a genset is sufficiently loaded during (nearly) 100% of its running time. This is especially true in the case of diesel generators, which should operate at 65% to 75% of their rated continuous load capacity. This is because a genset that is over-sized and, consequently, under-loaded most of the time generally runs too cool internally. And that means a greater internal build-up of carbon and other byproducts of combustion, leading to what we in the yachting industry call “coking and smoking”. There are all manner of sophisticated electrical regulation and distribution equipment intended to enable naval architects and engineers, as well as yacht builders, to match generator capacities to anticipated loads. This includes sophisticated paralleling and load-sharing devices that make it possible for twin and multiple generators to work cooperatively in carrying total power loads at any given moment. But although such equipment has been around for nearly three decades, its proper employment continues, in my experience, to be poorly understood at the consumer end, and even by many yachting-related professionals. 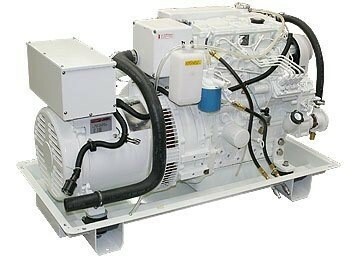 And although it can be very effective in managing generator loading, it is also quite xpensive. “The yacht's prospective owner or captain or chief engineer insist that each genset in the pair be sized to carry the full hotel-load on its own..."
At which point, I’ve generally recommended trashing plans for spending hundreds of thousands of dollars on load-sharing and paralleling equipment, and instead, simply replacing that equipment with a giant double throw knife switch. The “hotel load” is the load created when everything, repeat every electrical light and appliance, is turned on at the same time. Understand that, if you want each unit in a twin genset arrangement to be able to handle the full “hotel load", save a pile of dough by specifying a giant knife switch to control which unit powers the house electrical system at any given time. However, also understand that, if you do, in most cases, you will end up with your genset(s) running almost 100% of the time badly under-loaded. Which some people think increases their longevity. And which it doesn’t. Running under-loaded causes a generating set, especially a diesel one, to run cool and/or fuel rich. This, in turn, causes smoking and coking — smoking due to unburned fuel being present in the exhaust and coking because the genset's internal temperatures are cooler than they need to be in order to prevent excessive and rapid build-up of carbon. Some years ago, the fad fix for chronically underloaded gensets was to add a load-cell system that employed resistance coils to heat seawater. These systems would kick in when a genset was running under-loaded and would bring the loading up to where it needed to be for the genset to run cleanly and efficiently. Neat solution. Nope. This solution was somewhat akin to opening your windows when your over-sized air conditioning system is short-cycling and running inefficiently. It not only wastes fuel and increases the yacht's "pollution footprint", it adds to global warming, however minimally. For it generates additional load for an under-loaded generator by working to heat the ocean. All in all, a pretty dumb idea, if you ask me. A better solution to the problem of under-loading generators is to find the primary determining factor(s) in genset sizing calculations. 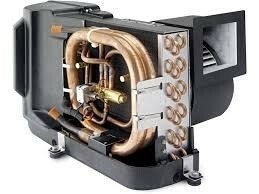 Which is invariably the air conditioning system compressor starting loads. It's critical to understand the starting load of an A/C compressor is usually 5 to 7 or more times as much as its full running load. This means that, for example, six 1-ton compressors, running at full load all at the same time, draw about 12 kW of power. Whereas, the same compressors, all starting at the same time, could draw as much as 100 kW. That is a huge difference when it comes to sizing generator capacity. If you size the generating system to handle the occasional situation where all or almost all of the A/C compressors are starting simultaneously, you will invariably end up with your genset(s) running badly under-loaded the rest of the time. Smoking and coking and generally requiring more frequent maintenance and repair than if they were running continuously at 65% to 75% of their rated load capacity. So, what to do? There are several different approaches to soft starting but suffice it to say that choosing soft-start equipped A/C compressors almost always reduces the starting loads by up to 65%. In the case of our example described above, that means the maximum starting load for our 6 A/C compressors, starting all at once, is reduced to 35 kW. And which, given a generator's normal reserve capacity for reasonable transient surge loads, means a genset sized for this lower starting load will be hugely more likely to be properly loaded for most of its running time, when the A/C compressors are running (not starting simultaneously). The additional cost of soft-start compressors will generally not be more than about 15% of conventional-start compressors. Soft-starts do not usually add significant weight. And they are not difficult to accommodate in terms of machinery volume. In engineering yachts from 20 to 50 meters, once you get the A/C starting loads under control and down to a reasonable level, you can usually reduce the size of the gensets significantly — without sacrificing generator capacity for handling the rest of the "hotel load". Then, if you plan the electrical power distribution system with appropriate split-buss logic and sufficient switching capability, you can assure your genset(s) will run greener and cleaner all the time.